Do you enjoy birds, butterflies, and wildflowers? Would you like to help protect them? Come help us remove invasive plants from this beautiful park! 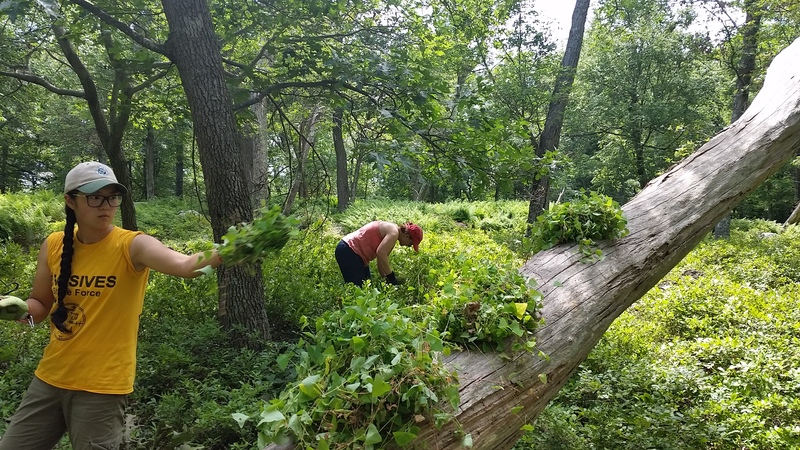 Join the Trail Conference's Invasives Strike Force as we remove invasive plants from along the trails in the West Hudson region of New York. Anyone can participate. No experience is necessary; we provide on-the-job training. You will need to bring leather work gloves, plenty of water and a lunch you can eat on the trails. We provide the tools. Exact meeting place and more details will be provided upon sign-up. Please sign-up in advance so that we know how many people are coming and can let you know of any changes of plans.